PERFECTION: Essential, dynamic, lightweight and at the same time rich in handcrafted details. A unique example of technology and rationality. LEGENDARY: When all you have to think about is riding, fun and pleasure are at their top, especially since safety is ensured by the two-channel Bosch 9 PLUS ABS system with race mode. With Rear Wheel Lift-up Mitigation, the system controls the pressure applied on the front brake to avoid involuntary rear wheel lift-up. ENGINE: The 675 was designed for the track and adapted and produced for the street by the one of the most successful manufacturers in the industry. THE SEFEST RIDE: Every time you brake, every time you dive for the apex, this extraordinary bike will remind you of what it means to win 75 world championships. 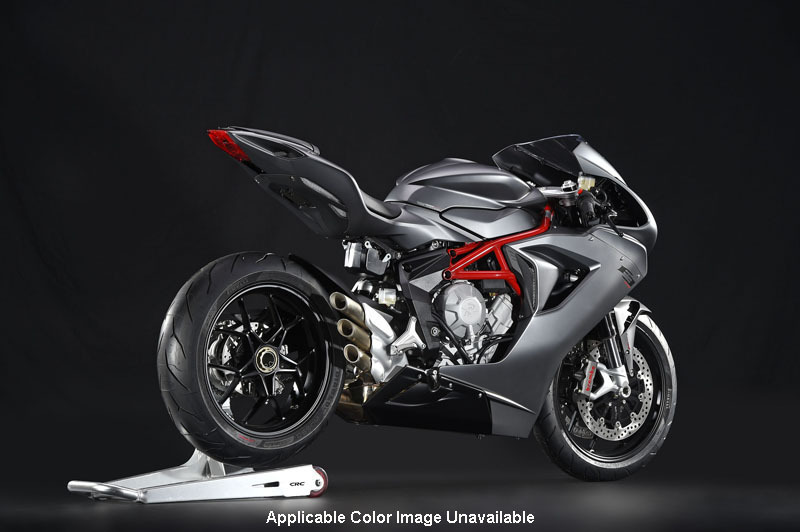 A SUPERFAST WORK OF ART: The three-exit exhaust, the distinctive, aggressive-looking headlight unit and the single-sided swingarm, so beautiful it looks like a sculpture: every detail of the F3 675 tells the story of a work of art crafted by MV. FORMED BY SPEED: Every detail of the F3 675 is designed with a sole objective: making it faster. Form follows function, say the masters of design, and all with the unmistakable style of MV. PERFECTION IN EVERY DETAIL: Essential, dynamic, lightweight and at the same time rich in handcrafted details. A unique example of technology and rationality. THE MOST ADVANCED ELECTRONICS IN ITS CATEGORY: The F3 675 was the first bike to feature the MVICS system with multi-map Full Ride by Wire, 8-level traction control and EAS 2.0 up & down electronic gearbox mated to a hydraulic slipper clutch. The electronic injection system has two injectors per cylinder with huge 50 mm diameter throttle bodies.